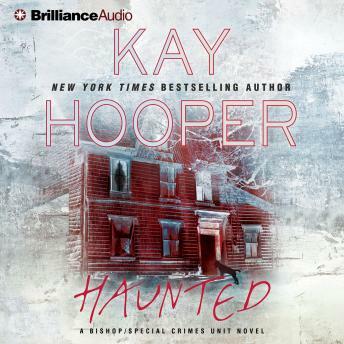 New York Times bestselling author Kay Hooper returns with the new novel in her riveting Bishop/SCU series.How do you make peace with the dead if the dead aren’t ready to forgive? In New York Times bestselling author Kay Hooper’s new novel, the answer lies in the twisting shadows of a small town, and its secrets yet unearthed…When Deacon James’s younger sister Melanie calls him, terrified, he goes to her aid in the small Georgia town of Sociable. What he finds is a scared young woman in the grip of what she insists is a paranormal nightmare—and murder. Two local men have been killed under mysterious circumstances. And Melanie is the prime suspect.Trinity Nichols left a high-stress job for quiet, small-town life. But news of the murders has left her—and the town—on edge, especially when there is nothing remotely ordinary about how the men died. And her investigation is yielding more than she bargained for, including a group of strangers who have descended on Sociable, some with abilities Trinity finds hard to believe, and agendas she refuses to trust. For some reason, they know a lot more than they should about what’s happening in town. And what’s happening is growing stranger by the minute.